Prolific Academic is my absolute favourite research or survey site and I know a lot of other bloggers feel the same about it, so here’s all you need to know! What makes Prolific Academic so great though? Prolific is about so much more than feedback on a new crisp flavour or the design of the packaging for a new brand of washing powder. These are surveys that are forming part of legitimate, and often academic research studies. The vast majority of the studies I have done have been put together by a team of academics and the studies have been approved by the Board of Ethics at that institution (usually a Higher Education one). As this is the case – the topic is usually far more meaningful, and may actually help make a difference. What is being studied or researched on Prolific Academic? Quite often you will be told at the start of the study what the survey is about and what they are trying to achieve. Sometimes however, you know there is perhaps a little more to it than they are letting on. It will have still been approved by the Ethics Board, so perhaps they can’t tell you upfront so as to sway the results, but some of them are really interesting. I’ve done studies about all sorts of things from trying out new apps through to emotional wellbeing in the workplace. Are there many studies on Prolific Academic? Again, yes! You might get emails from time to time telling you that there is a new study for which you are eligible, however I would recommend that you log in regularly as quite often by the time you’ve received the email and logged in, the survey is full. 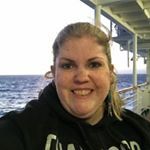 Do you get screened out like on other survey sites? No! This is another reason why I love this site. You fill out a very comprehensive sign up form, which gives lots of information about your demographics and other information. You don’t have to fill it all out, but if you do, you are more likely to be eligible for more surveys. Due to this extensive questionnaire, you are only offered surveys which you are able to participate in, hence eliminating being screened out. Down the line they might add additional eligibility questions which again help work out what surveys and studies you are suitable for, and you will get a notification about these. Each survey or study tells you up front the estimated time that it should take. That can be really handy if you only have 10 minutes – you won’t waste that time starting a study you won’t have time to finish. On average the ones I have taken part in have taken between 5 and 15 minutes, but it’s a good indicator of how much time you need to set aside. They also tell you up front how much you will be earning per study. Their rates are very competitive and they add up really quickly. 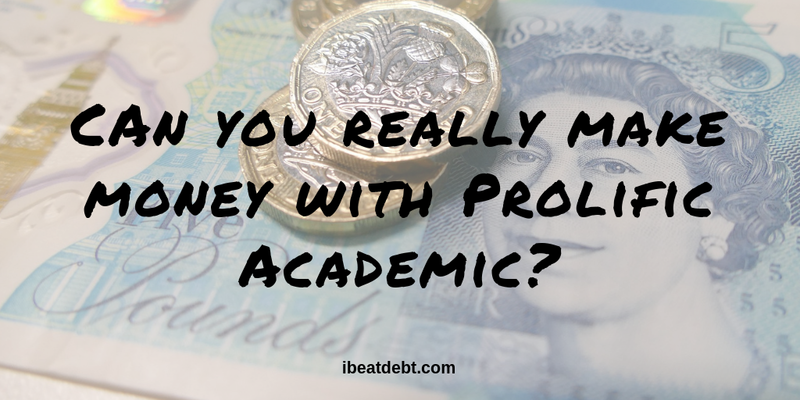 You really can make some serious money from Prolific Academic. I’ve made over £300 so far. I normally withdraw my earnings everytime I get to about £20, although you can withdraw with as little as £5, but I am currently saving up all my earnings for Christmas. I’ve got over £40 in there, with a month still to go until Christmas, so these earnings are definitely going to help! 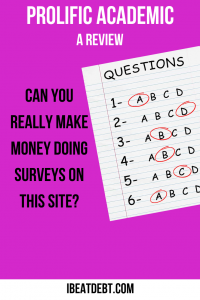 Due to the nature of the studies and that they are forming part of legitimate and academic research studies, quite a few of them have “attention” questions – meaning you have to pay attention as you do the survey and select the correct option (e.g. it might tell you to select “Slightly Disagree”). Make sure you read all the questions thoroughly and answer as truthfully and accurately as you can. If you miss any of these sort of questions, they may refuse any payment, so it is not worth rushing through it just for the sake of doing it quickly. You can withdraw from any survey whilst completing it, and usually after – but within a set time period. There is a small withdrawal processing fee, which is another reason to save up your earnings as it is currently (via my preferred method of Paypal) a percentage plus a per transaction fee, so the fewer transactions you make to withdraw the same amount means it will cost you less. Any of the links to Prolific Academic in this article are referrals – which mean if you join up, I get a small fee for referring you. This doesn’t impact your earnings though, so thank you if you use it. Once you are all signed up, you can also get this bounty by referring your friends and family so it is another way to make some money from it. Find out more about my other favourite survey sites here. ← What to do when money is a life or death situation!